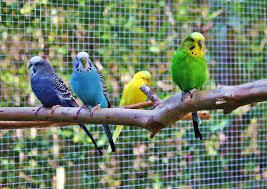 Many people who have pet birds inside their house, most commonly parrots, want to put them in a flight outside their house and want to know how to do this. A very common question that I get asked all the time, is how do I acclimatize my bird? First of all, birds that are used to a nice temperature and no wind or rain in a house, can not simply be put outside into an aviary. They need to be acclimatized. Normally, with parrot species, if you put them out into an aviary in summer, they should be fine. However we need to remember several things. First of all, they do need a wind break around the aviary in the predominant direction of the wind, which is normally the south-east. And I’d also suggest that at least a third to a half of the aviary is actually covered, so that the birds can always have shelter when there’s a storm or wind and rain. With birds outside, it’s not normally the temperature that kills, it’s the wind and the rain. A combination of these two are what can cause a tragedy. With parrots that have been outside during the summer, it does not mean that they will already be acclimatized for the winter. With all the parrots we had in Birdworld, we used to have inside quarters for them; not necessarily heated but well insulated and during very cold weather we would lock them away. 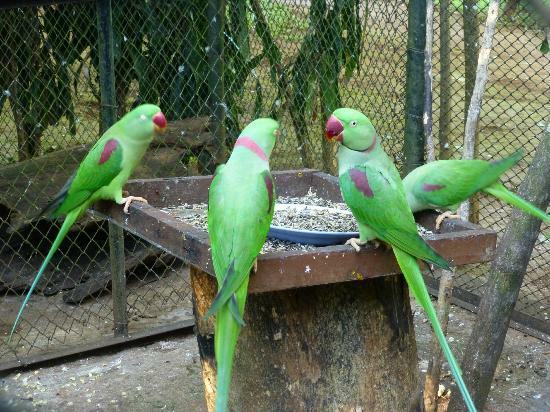 Most parrots that are acclimatized will cope with temperatures down to zero degrees celsius with no problem at all – less than that and they would need locking away. But a parrot that has been inside a house for many years, may find it difficult to acclimatize. What you need to watch out for, especially in the UK, is sudden temperature changes. If the winter gradually comes on and the temperature gradually goes down, often they will cope very well. But we can have a warm night one evening and minus ten the next evening – and this is where we can get difficulties. It’s always a good idea if you can, to have an area where you can lock the bird away. Many aviaries are available on the market where inside areas can be created and where you can have some simple form of heat. When we come to heat an inside area for a bird, what we do not want is having it too hot. If we have it too hot and you have a power cut, that’s when the damage and tragedies happen. A simple tubular heater is the best sort of heat to have, which gives a gentle heat to warm the area up. Often we don’t want the temperature in there any warmer than about 8°c, this way if you have a power cut, the bird will survive, and also the running costs aren’t too high. What do you do not want to use is a heat lamp. A heat lamp gives a lot of heat in a small area, and the birds may love this, but they will never become acclimatized. In fact they’ll get used to being even hotter than what it would be in a house. And with that if there is ever a power cut or a fuse goes, you will lose your bird because it will have a sudden temperature change. For advice on aviaries or heaters and how to use them, and how to acclimatize your bird, Rob is always available for advice on 01420 23986. You may have to call more than once, because he is probably answering a call from someone else at the time. It is different for different species of bird when you put them outside, so always call for advice rather than leave yourself open to tragedy. 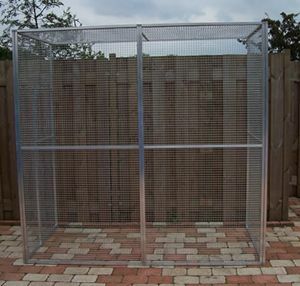 We do supply heaters and can supply aviaries to any design you like to fit your garden or around the side of the house. Click here to view our tubular heaters. Click here to view our aviaries. Follow Rob Harvey on Facebook, Twitter and Pinterest.